The Future 102: What Is Coming? The biblical covenants of the Old Testament provide the framework for understanding both ecclesiology (Church) and eschatology (end-times events). The covenants are like the edge pieces of a jigsaw puzzle that provide the boundaries of the whole eschatological puzzle. In the Old Testament, a covenant was an agreement (contract) between two parties. There were two kinds of covenants . . .
Conditional—such as the Mosaic Covenant. Both parties have to keep their obligations for the other party to be held to theirs. Unconditional–God’s promises to Israel would be fulfilled no matter what Israel did or did not do. They might disobey God, but God would not fail to fulfill His end of the contract (covenant). There are four Old Testament covenants that are vital to understanding God’s plan for the future. “Now the Lord said to Abram, ‘Go forth from your country, and from your relatives and from your father’s house, to the land which I will show you; 2 And I will make you a great nation, and I will bless you, and make your name great; and so you shall be a blessing’” (Genesis 12:1 to 2). Promised Land seed (a great nation), and blessing–everlasting promises (Genesis 13:15, 17:7). “For all the land which you see, I will give it to you and to your descendants forever” (Genesis 13:15). “I will establish My covenant between Me and you and your descendants after you throughout their generations for an everlasting covenant, to be God to you and to your descendants after you” (Genesis 17:7). David’s name will be made great (2 Samuel 7:9). This was fulfilled during his lifetime and throughout history. David would have rest from his enemies (2 Samuel 7:11). This was also fulfilled literally during David’s lifetime. David was promised a house (2 Samuel 7:11,16). His physical line of descendants would last forever. “Your house and your kingdom shall endure before Me forever; your throne shall be established forever” (2 Samuel 7:16). David’s throne (ruling authority) would be established forever (2 Samuel 7:16; Luke 1:32 to 33). David’s kingdom will never pass away permanently (2 Samuel 7:13,16). The kingdom might cease to operate physically for a time (i.e., at the present time), but Christ will return to rule from His throne in the millennial kingdom and beyond into eternity. “He shall build a house for My name, and I will establish the throne of his kingdom forever” (2 Samuel 7:13). Land covenant will be fulfilled in the Millennial Kingdom. “If your outcasts are at the ends of the earth, from there the Lord your God will gather you, and from there He will bring you back.” “The Lord your God will bring you into the land which your fathers possessed, and you shall possess it; and He will prosper you and multiply you more than your fathers” (Deuteronomy 30:4 to 5). It is tied to the future restoration of the nation of Israel. The foundation of the New Covenant was the provision for the forgiveness of sins through the saving work of Christ on the cross (1 Corinthians 11:25). Jesus had to die in order for any of the New Covenant to become a reality. The fulfillment of the New Covenant had still not occurred by the time Paul wrote his letter to the Romans. “For I do not want you, brethren, to be uninformed of this mystery—so that you will not be wise in your own estimation—that a partial hardening has happened to Israel until the fullness of the Gentiles has come in; 26 and so all Israel will be saved; just as it is written, ‘The Deliverer will come from Zion, He will remove ungodliness from Jacob’” (Romans 11:25 to 26). Its complete fulfillment will occur during the Millennial Kingdom–Israel will be regenerated as a nation, and will be established as a nation in Christ in the Millennial Kingdom. Conclusion–at the end of the day, what Israel is still waiting for is seven things. 1) a nation forever, 2) a land forever, 3) a King forever, 4) a throne forever, 5) a kingdom forever, 6) a new covenant, and 7) abiding blessings” (Dwight Pentecost, Things to Come, p. 128). “The supernatural removal of the Church of Jesus Christ out of this world.” The term Rapture comes from the Latin word, rapturo, and is the Latin translation of the Greek verb “caught up” (1 Thessalonians 4:17). The Rapture is a sudden, irresistible act of carrying off by force. Christians have no choice in the matter. The Rapture is not mentioned in the Old Testament. 1 Corinthians 15:51 to 52, “Behold, I tell you a mystery; we will not all sleep, but we will all be changed, 52 in a moment, in the twinkling of an eye, at the last trumpet; for the trumpet will sound, and the dead will be raised imperishable, and we will be changed” (1 Corinthians 15:51 to 52). “But we do not want you to be uninformed, brethren, about those who are asleep, so that you will not grieve as do the rest who have no hope. 14 For if we believe that Jesus died and rose again, even so God will bring with Him those who have fallen asleep in Jesus. 15 For this we say to you by the word of the Lord, that we who are alive and remain until the coming of the Lord, will not precede those who have fallen asleep. 16 For the Lord Himself will descend from heaven with a shout, with the voice of the archangel and with the trumpet of God, and the dead in Christ will rise first. 17 Then we who are alive and remain will be caught up together with them in the clouds to meet the Lord in the air, and so we shall always be with the Lord. 18 Therefore comfort one another with these words” (1 Thessalonians 4:13 to 18). Those who are in Christ–i.e., the Church (whether dead or alive). Who is the Church? Answer–believers from the day of Pentecost onwards, no Old Testament saints and no unbelievers. The distinction between the Church and Israel (Romans 11:25 to 27, 1 Corinthians 10:32). The word Israel always refers to the nation and not to the Church. a. We are waiting, “for His Son from heaven, whom He raised from the dead, that is Jesus, who rescues us from the wrath to come” (1 Thessalonians 1:10). b. “For God has not destined us for wrath, but for obtaining salvation through our Lord Jesus Christ, 10 who died for us, so that whether we are awake or asleep, we will live together with Him” (1 Thessalonians 5:9 to 10). c. Christ says to the faithful church in Philadelphia, “Because you have kept the word of My perseverance, I also will keep you from the hour of testing, that hour which is about to come upon the whole world, to test those who dwell on the earth” (Revelation 3:10). 4. The Rapture is described as being imminent (James 5:7 to 9; 1 Peter 4:7; 1 John 2:18). “The judge is standing right at the door” (James 5:9). It could happen at any time–it will be a surprise. Therefore, there will be no warning signs like the presence of Antichrist, or the judgments of the Tribulation, etc. d. We must assume then, that there are believers who survive the Tribulation who will then inhabit the earth and procreate during the Millennial Kingdom. There is no specific reference to the Church in Revelation 4 through 19. In Revelation 1 to 3, the Church is mentioned twenty times. In Revelation 20:16, the Church is seen as a bride. This is an argument from silence, but it is still a genuine argument. 8. If some of the Church were still on Earth (as in a post-Trib Rapture view), then not all the Bride of Christ would be present for the Marriage Supper of the Lamb in Heaven. The Tribulation is a period of seven years beginning shortly after the Rapture, when judgment is dealt out upon the world for its sinfulness of past ages, and when the nation of Israel is brought through tremendous suffering to a receptive attitude toward Christ as its Messiah-Deliverer. Daniel prophesied that there would be a period of 69 (7 plus 62) weeks between a decree to rebuild Jerusalem and the coming of the Messiah. Seven weeks equals 49 years (approximately) to the end of the Ole Testament, i.e., the end of Malachi. Sixty-two weeks equals 434 years (approximately)–the length of the Intertestamental Period). 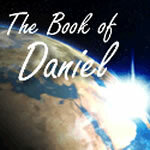 Daniel’s seventieth week (the seven-year Tribulation) has still not taken place. “Then after the sixty-two weeks [sevens] the Messiah will be cut off and have nothing, and the people of the prince who is to come will destroy the city and the sanctuary. And its end will come with a flood; even to the end there will be war; desolations are determined. 27 And he [the Antichrist] will make a firm covenant with the many for one week [seven], but in the middle of the week [seven] he will put a stop to sacrifice and grain offering; and on the wing of abominations will come one who makes desolate, even until a complete destruction, one that is decreed, is poured out on the one who makes desolate” (Daniel 9:26 to 27). This term usually refers to the second half of the Tribulation, when things get really bad for Israel. SEAL #3 The black horse (6:5-6)—famine, the cost of food will escalate to the point where people cannot afford to eat, many will go hungry. Verse 6–people will work all day and still won’t earn enough to eat for one day. SEAL #4 The pale/ashen horse (6:7-8)—death, a quarter of the earth’s population die by the sword, from famine, with pestilence, and by wild animals. SEAL #6 The natural world is afflicted (6:12-17)–great global earthquake, moon becomes like blood, huge meteors fall from the heavens, sky rolls up like a scroll, every mountain and island is moved from its current location. a. “But you, why do you judge your brother? Or you again, why do you regard your brother with contempt? For we will all stand before the judgment seat of God. 11 For it is written, ‘As I live, says the Lord, every knee shall bow to Me, and every tongue shall give praise to God.’ 12 So then each one of us will give an account of himself to God (Romans 14:10–12). “Therefore do not go on passing judgment before the time, but wait until the Lord comes who will both bring to light the things hidden in the darkness and disclose the motives of men’s hearts; and then each man’s praise will come to him from God” (1 Corinthians 4:5). “Therefore we also have as our ambition, whether at home or absent, to be pleasing to Him. 10 For we must all appear before the judgment seat of Christ, so that each one may be recompensed for his deeds in the body, according to what he has done, whether good or bad” (2 Corinthians 5:9–10). “’Whether good or bad’”–these Greek terms do not refer to moral good and moral evil. Matters of sin have been completely dealt with by the death of the Savior. Rather, Paul was comparing worthwhile, eternally valuable activities with useless ones. His point was not that believers should not enjoy certain wholesome, earthly things, but that they should glorify God in them and spend most of their energy and time with what has eternal value” (MSB). d. While there will be no punishment, believers will still experience sorrow for their lack of faithfulness and lack of service (2 Corinthians 5:10, 1 Corinthians 3:11-15). “For no man can lay a foundation other than the one which is laid, which is Jesus Christ. 12 Now if any man builds on the foundation with gold, silver, precious stones, wood, hay, straw, 13 each man’s work will become evident; for the day will show it because it is to be revealed with fire, and the fire itself will test the quality of each man’s work. 14 If any man’s work which he has built on it remains, he will receive a reward. 15 If any man’s work is burned up, he will suffer loss; but he himself will be saved, yet so as through fire” (1 Corinthians 3:11–15). “Let us rejoice and be glad and give the glory to Him, for the marriage of the Lamb has come and His bride has made herself ready. 8 It was given to her to clothe herself in fine linen, bright and clean; for the fine linen is the righteous acts of the saints. 9 Then he said to me, ‘Write, “Blessed are those who are invited to the marriage supper of the Lamb.”’ And he said to me, ‘These are true words of God’” (Revelation 19:7–9). The Marriage Supper of the Lamb occurs after the Bema Seat–we know this, because Revelation 19:8 indicates that the Church’s righteous acts will be evident. The Marriage Supper of the Lamb happens in Heaven–we know this because Revelation 19:11-14 explains that Christ and his heavenly armies come from Heaven to Earth to establish His Kingdom. “But immediately after the tribulation of those days [this tells us the timing of Jesus’ return is after the Tribulation] the sun will be darkened, and the moon will not give its light, and the stars will fall from the sky, and the powers of the heavens will be shaken. 30 And then the sign of the Son of Man will appear in the sky, and then all the tribes of the earth will mourn, and they will see the Son of Man coming on the clouds of the sky with power and great glory. 31 And He will send forth His angels with a great trumpet and they will gather together His elect from the four winds, from one end of the sky to the other” (Matthew 24:29–31). “And I saw heaven opened, and behold, a white horse, and He who sat on it is called Faithful and True [this is Jesus Christ], and in righteousness He judges and wages war. 12 His eyes are a flame of fire, and on His head are many diadems; and He has a name written on Him which no one knows except Himself. 13 He is clothed with a robe dipped in blood, and His name is called The Word of God. 14 And the armies which are in heaven, clothed in fine linen, white and clean, were following Him on white horses. 15 From His mouth comes a sharp sword, so that with it He may strike down the nations, and He will rule them with a rod of iron; and He treads the wine press of the fierce wrath of God, the Almighty. 16 And on His robe and on His thigh He has a name written, “KING OF KINGS, AND LORD OF LORDS” (Revelation 19:11–16). “Behold, a day is coming for the Lord when the spoil taken from you will be divided among you. 2 For I will gather all the nations against Jerusalem to battle, and the city will be captured, the houses plundered, the women ravished and half of the city exiled, but the rest of the people will not be cut off from the city. 3 Then the Lord will go forth and fight against those nations, as when He fights on a day of battle. 4 In that day His feet will stand on the Mount of Olives, which is in front of Jerusalem on the east; and the Mount of Olives will be split in its middle from east to west by a very large valley, so that half of the mountain will move toward the north and the other half toward the south. 5 You will flee by the valley of My mountains, for the valley of the mountains will reach to Azel; yes, you will flee just as you fled before the earthquake in the days of Uzziah king of Judah. Then the Lord, my God, will come, and all the holy ones with Him! 6 In that day there will be no light; the luminaries will dwindle. 7 For it will be a unique day which is known to the Lord, neither day nor night, but it will come about that at evening time there will be light. 8 And in that day living waters will flow out of Jerusalem, half of them toward the eastern sea and the other half toward the western sea; it will be in summer as well as in winter” (Zechariah 14:1–8). 3. The resurrection and rewarding of Tribulation martyrs–”And I saw the souls of those who had been beheaded because of their testimony of Jesus and because of the word of God, and those who had not worshiped the beast or his image, and had not received the mark on their forehead and on their hand; and they came to life and reigned with Christ for a thousand years” (Revelation 20:4). 4. The resurrection of Old Testament saints (Daniel 12:1-2; Matthew 8:11)—note that dead Old Testament sinners are resurrected for judgment at the Great White Throne (Revelation 20:11-15). “I say to you that many will come from east and west, and recline at the table with Abraham, Isaac and Jacob in the kingdom of heaven” (Matthew 8:11). 5. The binding of Satan for 1,000–Satan will not be able to deceive nations any longer. “Then I saw an angel coming down from heaven, holding the key of the abyss and a great chain in his hand. 2 And he laid hold of the dragon, the serpent of old, who is the devil and Satan, and bound him for a thousand years; 3 and he threw him into the abyss, and shut it and sealed it over him, so that he would not deceive the nations any longer, until the thousand years were completed; after these things he must be released for a short time” (Revelation 20:1–3). Note that six times in these verses 1,000 years is mentioned. This will be a fulfillment of the Davidic Covenant–Jerusalem will be the location of the throne on which Jesus sits. “He will be great and will be called the Son of the Most High; and the Lord God will give Him the throne of His father David; 33 and He will reign over the house of Jacob forever, and His kingdom will have no end” (Luke 1:32–33). At the Second Coming, all of these promises will be fulfilled as Israel is regathered from the nations (Matthew 24:31), converted (Zechariah 12:10-14), and restored to the land under their Messiah. At the beginning of the millennial kingdom, there will be two kinds of people on Earth–Christians who were raptured and then returned to Earth with Christ, and those who survived the Tribulation with their earthly bodies still intact. These two kinds of people will still be able to interact–Jesus had no trouble speaking and talking with the disciples after He was resurrected. “When the thousand years are completed, Satan will be released from his prison, 8 and will come out to deceive the nations which are in the four corners of the earth, Gog and Magog, to gather them together for the war; the number of them is like the sand of the seashore. 9 And they came up on the broad plain of the earth and surrounded the camp of the saints and the beloved city, and fire came down from heaven and devoured them. 10 And the devil who deceived them was thrown into the lake of fire and brimstone, where the beast and the false prophet are also; and they will be tormented day and night forever and ever” (Revelation 20:7–10). These are men and women who have been born during the Millennium, have not been saved and have rebelled against Christ. “Then I saw a great white throne and Him who sat upon it, from whose presence earth and heaven fled away, and no place was found for them. 12 And I saw the dead, the great and the small, standing before the throne, and books were opened; and another book was opened, which is the book of life; and the dead were judged from the things which were written in the books, according to their deeds. 13 And the sea gave up the dead which were in it, and death and Hades gave up the dead which were in them; and they were judged, every one of them according to their deeds. 14 Then death and Hades were thrown into the lake of fire. This is the second death, the lake of fire. 15 And if anyone’s name was not found written in the book of life, he was thrown into the lake of fire” (Revelation 20:11–15). Fire completely destroys the old heavens and earth in preparation for the creation of a new heaven and the new earth–remember that the earth was cursed after the fall. “But by His word the present heavens and earth are being reserved for fire, kept for the day of judgment and destruction of ungodly men” (2 Peter 3:7). “But the day of the Lord will come like a thief, in which the heavens will pass away with a roar and the elements will be destroyed with intense heat, and the earth and its works will be burned up” (2 Peter 3:10). The new earth resembles the old earth, although there will be no oceans. “Then I saw a new heaven and a new earth; for the first heaven and the first earth passed away, and there is no longer any sea” (Revelation 21:1). The New Jerusalem will come down out of Heaven and God will dwell there. “And I saw the holy city, new Jerusalem, coming down out of heaven from God, made ready as a bride adorned for her husband. 3 And I heard a loud voice from the throne, saying, ‘Behold, the tabernacle of God is among men, and He will dwell among them, and they shall be His people, and God Himself will be among them’” (Revelation 21:2–3). “And he carried me away in the Spirit to a great and high mountain, and showed me the holy city, Jerusalem, coming down out of heaven from God, 11 having the glory of God. Her brilliance was like a very costly stone, as a stone of crystal-clear jasper. 12 It had a great and high wall, with twelve gates, and at the gates twelve angels; and names were written on them, which are the names of the twelve tribes of the sons of Israel. 13 There were three gates on the east and three gates on the north and three gates on the south and three gates on the west. 14 And the wall of the city had twelve foundation stones, and on them were the twelve names of the twelve apostles of the Lamb. 15 The one who spoke with me had a gold measuring rod to measure the city, and its gates and its wall. 16 The city is laid out as a square, and its length is as great as the width; and he measured the city with the rod, fifteen hundred miles; its length and width and height are equal. 17 And he measured its wall, seventy-two yards, according to human measurements, which are also angelic measurements. 18 The material of the wall was jasper; and the city was pure gold, like clear glass. 19 The foundation stones of the city wall were adorned with every kind of precious stone. The first foundation stone was jasper; the second, sapphire; the third, chalcedony; the fourth, emerald; 20 the fifth, sardonyx; the sixth, sardius; the seventh, chrysolite; the eighth, beryl; the ninth, topaz; the tenth, chrysoprase; the eleventh, jacinth; the twelfth, amethyst. 21 And the twelve gates were twelve pearls; each one of the gates was a single pearl. And the street of the city was pure gold, like transparent glass. 22 I saw no temple in it, for the Lord God the Almighty and the Lamb are its temple. 23 And the city has no need of the sun or of the moon to shine on it, for the glory of God has illumined it, and its lamp is the Lamb. 24 The nations will walk by its light, and the kings of the earth will bring their glory into it. 25 In the daytime (for there will be no night there) its gates will never be closed; 26 and they will bring the glory and the honor of the nations into it; 27 and nothing unclean, and no one who practices abomination and lying, shall ever come into it, but only those whose names are written in the Lamb’s book of life” (Revelation 21:10–27). WHY STUDY FUTURE EVENTS (ESCHATOLOGY)? God remains in control of both the present and the future, just as He controlled all the events of history. He is the King of the Universe and does whatever He pleases (Psalms 115:3). Every event is within the knowledge and control of God. We don’t know everything about what the future holds, but we do know Who holds the future. The future for a Christian is one of great hope and expectation. God has written the final chapter of human history and the ending of the story is good for the children of God–Jesus wins! Now that’s good news from a good God. The future return of Christ motivates believers to personal purity as they anticipate personal fellowship with Christ (1 John 3:3). A believer who climbs out of bed in the morning thinking Jesus could return today will most likely avoid the stronghold of sin in their life. The saying, “He is so heavenly minded that he is no earthly use,” is not right. Rather, we are all too earthly minded–in fact, most of us are so earthly minded that we are of no heavenly use. Prophecy and future events can bring great encouragement to suffering Christians who are struggling through the pain of this life. It was a great encouragement to the church at Thessalonica once Paul had explained specific future events about those who “were asleep” (1 Thessalonians 4:13-18). We study eschatology not to find a calendar, but to build a character. “And behold, I am coming quickly. Blessed is he who heeds the words of the prophecy of this book” (Revelation 22:7). “Behold, I am coming quickly, and My reward is with Me, to render to every man according to what he has done” (Revelation 22:12). “For the grace of God has appeared, bringing salvation to all men, instructing us to deny ungodliness and worldly desires and to live sensibly, righteously and godly in the present age, looking for the blessed hope and the appearing of the glory of our great God and Savior, Christ Jesus; who gave Himself for us, that He might redeem us from every lawless deed and purify for Himself a people for His own possession, zealous for good deeds” (Titus 2:11-14).